Casa Obelisco will leave you speechless...this 4 bedroom home is in the heart of the main square in San Miguel de Allende, and truly gives you a "behind the door" experience when you leave the city sidewalk, and walk into this oasis - with a lush garden, beautifully appointed furnishings, rooftop views, and soothing fountains through out the house. You get to step back into time, while enjoying modern amenities. 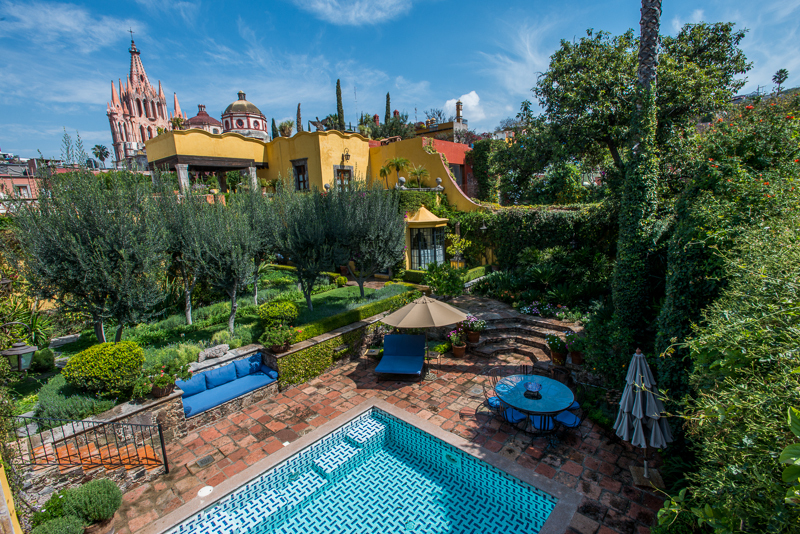 Casa Obelisco is truly a magical San Miguel experience. The house has 2 stories with 3 master suites on the first floor and the 4th master suite on the 2nd floor with views of the Parroquia. Each bedroom has ensuite bathrooms, bathrobes, and a hair dryer. There are 3 King beds and 1 Queen. The beautiful garden area in the back of the house is where you will find the pool, hot tub and lounging area..that honestly you may never want to leave. Casa Obelisco - has a full staff (maid,cook, gardner, and daily house manager) they are in the house Monday -Friday 9-5 and Saturday 9-2. Food is not included in the rate, but we are happy to provide a "stocking service" prior to your arrival for a fee of $50usd + cost of the groceries. Upon booking the house, we will send you the menu of the cook, so we can help to guide you with her cooking specialties. 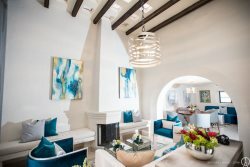 You don't have do a thing..just sit back and enjoy Casa Obelisco! !